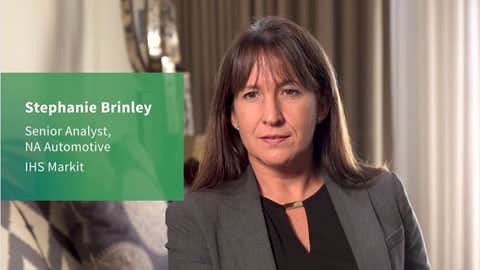 Watch Stephanie Brinley, Senior Analyst for North American automotive coverage, discuss the current vehicle trends for 2018 and insights into vehicle preferences and how OEMs are keeping up with these trends. What are automakers focusing on for upcoming auto shows? How is the vehicle market trending for new vehicle launches? How does AutoIntelligence help OEMs and Suppliers stay informed of the latest insights for the industry? For more information on vehicle trends and launches for 2018, please contact us or learn more about our Autointelligence suite.